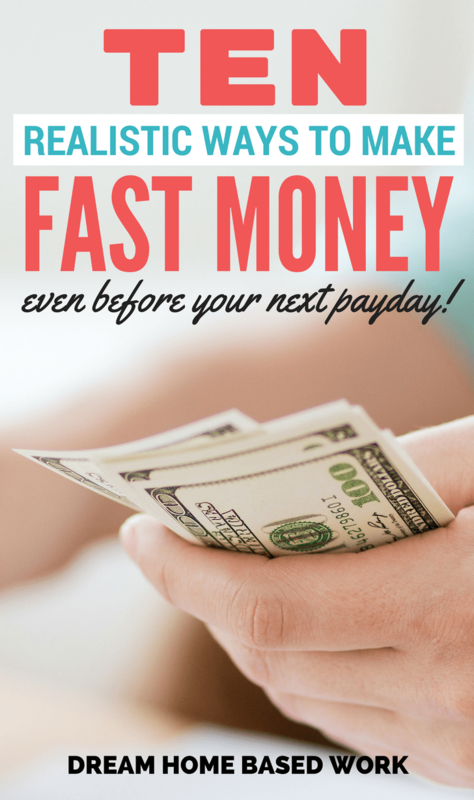 Making extra money on the side is important especially if you need to pay pending bills without straining your budget. However, making it fast without putting a lot of effort is also a possibility especially when you are working online. There are a number of ways that you can make money within the shortest time and you do not even have to leave your house. Most can be done on a computer, tablet or smart phone making the chance of earning money stress-free and only a click or touch screen away. 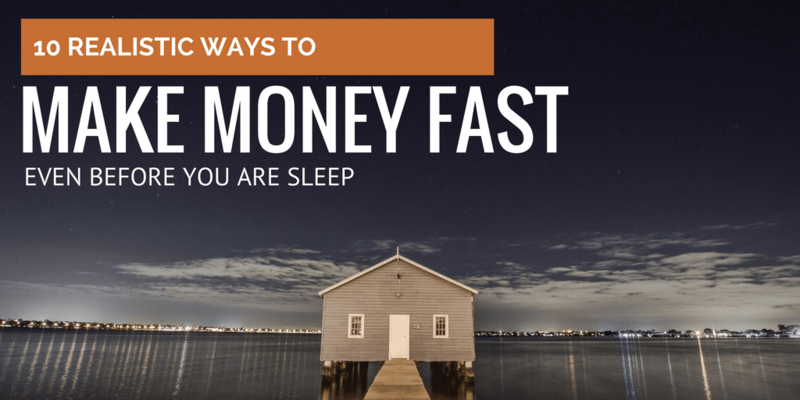 For a start, here are some ways that you can earn that extra penny fast. Apart from giving feedback to sites in order to make quick money, you can also do it while having fun. Testing out games as well apps is an exciting way to make money online at ErliBird. The site gives you access to applications and games that are still being developed and gives you a chance to give feedback on your experience after testing them. In most cases, the test takes fifteen minutes or less of you using the app or game while your comments and reactions are recorded. The apps and games can be tested on computers or mobile devices with the former earning $10 and the latter $20. Ebates is a popular shopping site that has all the popular stores listed and the products they have to offer. In most cases, the products are sold at discounted prices making it a “must visit” for shoppers looking for good deals. Even so, it is a good site to make money fast because you earn $10 in the form a gift card just for signing up. If you go ahead to place an order you get $25 in addition to the signup bonus. Also, you can decide to take part in their referral program and earn another $5 every time your friend makes purchases worth $25. To start using Ebates, visit their official site today. Inbox Dollars is a survey site that pays you for participating in their numerous surveys. Most times the pay for filling out a survey may not be much but when it accumulates over time, you will have earned some good money. However, if you want to earn money fast, you can take advantage of their $5 sign up bonus and their referral bonus if you are already a member on their site. Ibotta is a popular app because it allows you to save when shopping for items used on a daily basis. The shopping app can be used while grocery shopping as it involves scanning through offers when leaving the store and then taking a photo of the receipt to get paid. Apart from earning money from the items bought, you can also earn quick money by refereeing two friends and when they do the same, you get paid $10. To start using Ibotta's FREE app, get started here. If you would like to learn more about how Ibotta works, read this article. Bookscouter gives you a chance to earn money by selling textbooks at the best price on offer. The site allows you to search for buyback vendors online and compare their prices before making a decision to sell them your books. All you need is to enter the barcode of the book into their system and get a variety of vendors to choose from depending on the popularity of the book you want to sell. In addition, the site has an app that can be downloaded into your phone, making it possible to sell books from any location. Download their free app or go here to learn more about Bookscouter. Cutting out coupons to get discounts at stores has been a favorite pass time for many but you can also earn from it. CouponChief is a site that has been set up to help shoppers save as much as possible by paying them for the coupons that they have shared or clipped online. On their Pay2Share program, shoppers are allowed to paste coupons codes on the site and get paid at least 2% of sales that result from the code. Payment for the coupons or their codes can go as high as $25 for every retailer. If you love music and would like to interact with new artists and their music online, then Slicethepie is an ideal place for you to earn money fast. The site pays you to listen to various types of music and submit short reviews which earn you cash from the site. Another popular site that offers a similar opportunity is HitPredictor which rewards in raffles as well as prizes for those that participate on their site. Designing of clothes can make you money online especially if they are unique and appealing to your target audience. Teespring offers designers a chance to design t-shirts for clients on their site and make money when they are sold. The designs are quite diverse making them a popular site for shoppers that are looking for exceptional design work for your t-shirts. Also, you get to set your price for the apparel making it possible to make fast money when it is a one of a kind customized design. In addition, the t-shirts are only printed after payment has been done thus reducing wastage. Many people watch TV for entertainment or getting information on certain issues but you can use it to make money. Sites such as Reward TV are designed to allow online users to watch TV through them and then give feedback on popular shows. The feedback is given through the answering of trivia questions specially selected by the site in order to track viewership of certain shows. You can choose which show to watch and give feedback on it so that you can make money. Although the regular pay may be small at first, it soon accumulates to a bigger amount ready for withdrawal and use. Advertisers are always looking for the best ways to reach their audience and are now doing so through the Fronto app. The app, when downloaded on your phone, is allowed to display adverts on the lock screen on your mobile phone. To make money, you need to swipe and then go forward to participate for cash rewards that are handed out after the accumulation of certain points. Therefore, the more you engage with the app, the more likely you will earn money quickly as your points will accumulate much faster. To make money online quickly, you need to do research either online or from family or friends that have done it before. It is important to only work with sites that are genuine and will make payments as agreed. If possible, read through a number of reviews before settling on the sites to seek online jobs from on a regular basis. THANKS SHAY, I THINK I HAVE U ON YOUR YOUTUBE CHANNEL,BUT ASKING IF U CAN HELP ME FROM MY COUNTRY, I MEAN GHANA TO BE SPECIFIC BECAUSE ALL THE COMMENTS NON IS FROM MY HOME,ALL IS OUTSIDE MY COUNTRY AND I REALLY LOVE TO TAKE PART IN THIS ONLINE BUSINESS SO PLEASE HELP….AM SACKEY BY NAME AND MY ACCOUNT IS [email protected] if u want more from me THANKS….